Tracheostomy care procedure, this is a high-risk procedure and must be performed in the care of a someone expert in tracheostomy care procedure in Lansing. Apart from that, care providers must adhere to evidence-based guidelines to avoid poor outcomes. These patients are highly susceptible to infection, airway obstruction and impaired ventilation. A patient can avoid these and other lethal complication by working with trained and certified nurses for tracheostomy care procedure in Lansing. So, in this article, we bring you these guidelines to open and close suctioning. Apart from that, make sure that emergency equipment is available. Some patients cannot clear their airways. So, they need to get suctioning done. Setting a schedule for suctioning will not work as each patient needs tailored timing for suctioning. Changes in respiratory rate, increased work of breathing, copious secretions, wheezing, decreased oxygen saturation and the patient is unable to clear secretion, these are the cases when suctioning is required. Here it is essential to assess the patient for the history of allergies and asthma. First of all, hyper oxygenate the patient. Ask the patient to take a few deep breaths (2 or 3). After that, use a manual ventilator bag to administer 4 to 6 compressions. Activate the hyperoxygenation button when you are taking care of a ventilator patient. According to the experts, the suction pressure of up to 120 mm Hg is ideal for open-system suctioning. And, when it is closed-system suctioning, the suction pressure should be up to 160 mm Hg. There should be maximum three catheter passes for each session. 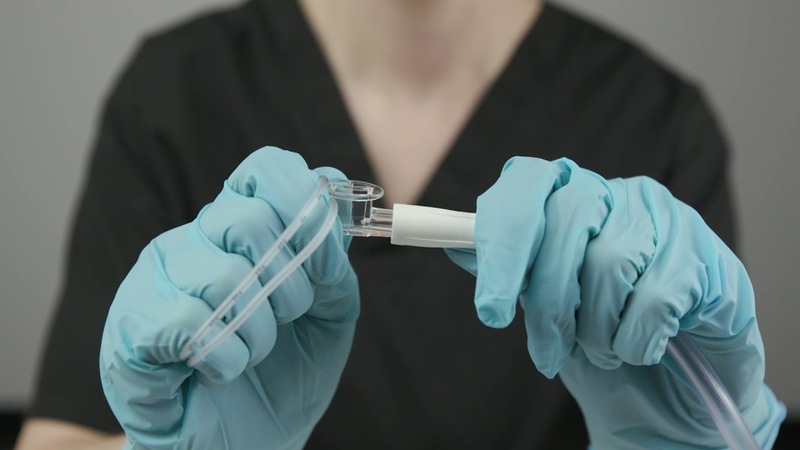 Suction during catheter extraction can last up to 10 seconds. Always allow 20 to 30 seconds between each pass. When it is for open-system suctioning, make sure that the catheter size does not exceed the inner radius of the internal trach tube. When it comes to determining the appropriate-size French catheter, measure the size of the internal trach tube and divide it by two. Now multiply the result by 3. Care providers often use a #12 French catheter for closed suctioning. Calculate the distance needed for insertion. According to experts, in the case of an open system, it should be 0.5 to 1 cm past the distal end and in the case of a closed system, it should be 1 to 2 cm past the distal end.